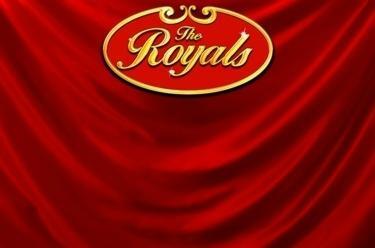 Play The Royals online for free now! This really is a good family to know! Collect many colourful fruits on up to 20 win lines at The Royals and carry bags full of royal Twists to your player account. With a little luck, the merry monarch will reward your enthusiasm in his feature game with the triple 7 and overwhelm you with golden Twist coins! The aim at The Royals is to land 5 matching symbols along a win line. All lines run from left to right in different succession along the reels. To win you have to land several identical symbols from the left side by side on a line without interruption. The Royals feature can be triggered randomly at the end of each round, regardless of whether you have won or not in the previous game. 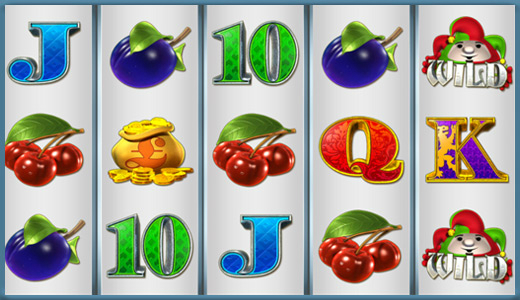 The merry monarch can appear on one or more reels, as he operates a mini-slot with 3 reels and 4 different symbols (red, yellow and blue 7’s as well as the diamond). You can spin the reels by clicking ‘Start’. Each combination of 3 7s wins and opens a new feature round. The feature ends as soon as you land a combination of diamonds.